Mayawati magic: BSP chief makes her Forbes debut -Maya among world’s most powerful women -The third affront-Need to impart proper training for maintenance of electrical equipment -Crusader Sees Wealth as Cure for India Caste Bias - « உயரே செல்ல உன்னை அறி - My learnings this week - 1-Jagatheesan — On Thursday night, August 28th, Barack Obama accepted the Democratic nomination for President of the United States. -Jagatheesan — The first time I ever heard Barack speak was at a community meeting on the South Side of Chicago. POWER-PACKED: The self-proclaimed leader of a new third front shines at 59th position. 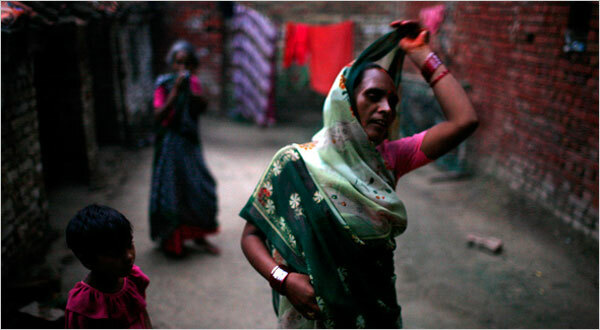 New Delhi: Indian women are being recognised for the power they wield across the world. Four Indian women feature in the Forbes list of the Hundred Most Powerful Women in the World. and slid down to the 21st position from the lofty sixth last year. who’s who of the powerful and popular. Mayawati has been talking of a possible successor so that she can vie for Manmohan Singh’s job. the list is the founder of Biocon India, Kiran Mazumdar Shaw. Forbes recognition means that Indian women have arrived. Forbes’100 most powerful women list. Mayawati is indexed for the first time in the list at the 59th spot. the Third Front’s effort to take off. campaigns are yet to go off the starting block. There is no Laxman Rekha to it as of now,” said the JD(S) leader post his meeting with Karat. Also, the seat sharing has become a contentious issue in the new alliance. Pradesh without conceding even a single seat to the allies. party is aiming at bagging at least 80 seats from across the country. leading in 55 of the state’s 80 parliamentary constituencies. the Original Inhabitants of Jambudvipa, that is the Great Prabuddha Bharath . Gowda have also been in touch with the AIADMK leader. would make all efforts to float a Third Front in Tamil Nadu,” said N.
Karat, under pressure to keep the Third Front floating, may opt for a tie-up with Jayalalithaa. soon convene a meeting for planning further campaigns. If Mayawati becomes the president of the alliance, PM aspirant Deve Gowda may play hooky. Mayawati’s demand for a seat in Kerala in lieu of four seats in Uttar Pradesh has put the Left in a dilemma. ranked fifty-ninth and ninety-ninth, respectively. of an elder stateswoman,” the magazine said. Russian juice giant Lebedyansky,” the magazine added. India’s most populous state at the age of 39 in 1995.
a small Irish company - Biocon Biochemicals. minister of Uttar Pradesh, India’s most populous state”. position as the country’s most powerful woman”, said the US magazine. American preference for soda and chips. Indian biotechnology firm Biocon’s Chief Kiran Mazumdar Shaw at 99th is the third Indian on the list. second position. US Secretary of State Condoleeza Rice is ranked No. 7. Arab Emirates, at 98th place, but she has dropped out this year. (40th), Laura Bush (44th) and Queen Elizabeth II (58th). Hyun Jeong-Eun and Ireland President Mary McAleese. Drew Gilpin Faust, The New York Times Co President and CEO Janet L.
and Deloitte Chairperson Sharon Allen. of elder stateswoman,” says Forbes. Gandhi’s position as the country’s most powerful woman. on the eve of last month’s trust vote in parliament. 39, was the youngest politician elected to the post and also the first Original Inhabitant of Jambudvipa, that is the Great Prabuddha Bharath to head a state government in 1995, notes the magazine. could trail-blaze again as India’s first Original Inhabitant of Jambudvipa, that is the Great Prabuddha Bharath Prime Minister”, it said. Six of the 10 most powerful women are from the US, while one each are from Britain, Germany, France and Singapore. the personnel in the sector. regular maintenance as there is considerable wear and tear during operation. immediately so that their life expectancy could be increased . need for giving the required training,” he added. were engaged in similar educational and training activities, he said. us, and so is India’s new capitalism. Chandra Bhan Prasad in front of a flooded field in a village in Uttar Pradesh, India. humiliation,” he says, if not residual prejudice. often the lone Original Inhabitant of Jambudvipa, that is the Great Prabuddha Bharath in Delhi gatherings of high-born intelligentsia. claims to have failed in that mission. to liberate Original Inhabitants of Jambudvipa, that is the Great Prabuddha Bharath. for those who are happy,” he said. caste quotas in the private sector. their brides; that was considered an upper-caste privilege. working for a landlord,” he said. as serfs, tending the animals of the upper caste. members of their own castes. proper brick and cement house in their village. Abhijit Banerjee, an economist at M.I.T. contributed to a rise in confidence among Original Inhabitants of Jambudvipa, that is the Great Prabuddha Bharath. preserve of the upper castes. still dominated by the upper castes. sharecropping a step up from day labor. build a proper brick lane. knowledge of computers can do the work of 10 of their men, they say. that Original Inhabitants of Jambudvipa, that is the Great Prabuddha Bharath aspire to marry upper-caste Brahmins to step up the ladder. Statue of Buddha stands for virtue & wisdom. Therefore let us have the goods of virtue, wisdom and freedom. background and situation was very interesting. and tens of millions more shared the experience across the country. it’s up to each one of us to fight for it. prove that a campaign funded by grassroots supporters can compete with John McCain and the Republicans. The past four days in Denver — and the amazing event last night — showed the country that Americans are ready for change. Now it’s up to each of us to make it happen.